By Dr. A. Ray Stanford. Manual de Evangelismo Personal. Una lectura obligata para los cristianos. ¿Por qué debemos testificar? 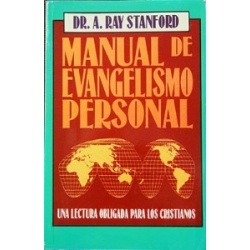 This is the Spanish language version of Dr. Stanford's Handbook of Personal Evangelism. This book is written to guide a christian in his personal witnessing so that he will present the plan of salvation in a clear and simple way that the lost can understand. softcover - 190 pages. Price includes standard shipping within the continental U.S. Please call for rates to other locations. 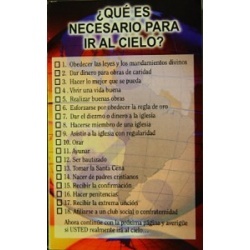 Gospel tract in Spanish. Shipped in bundles of 100. Price includes standard shipping within the continental U.S. Please call for rates to other locations.